I had some of the retired cardstock we used for Carol’s weddding and I haven’t quite let go of that color combination, so I chose to share it with the club. I told them there should have been the teeniest tiniest pearls to line that beautiful neckline, but they had all been used up on wedding favors 🙂 They’re my friends; they understood. It just takes a few dabs of ink on those fabulous flower trim blossoms to get a little bit of color. 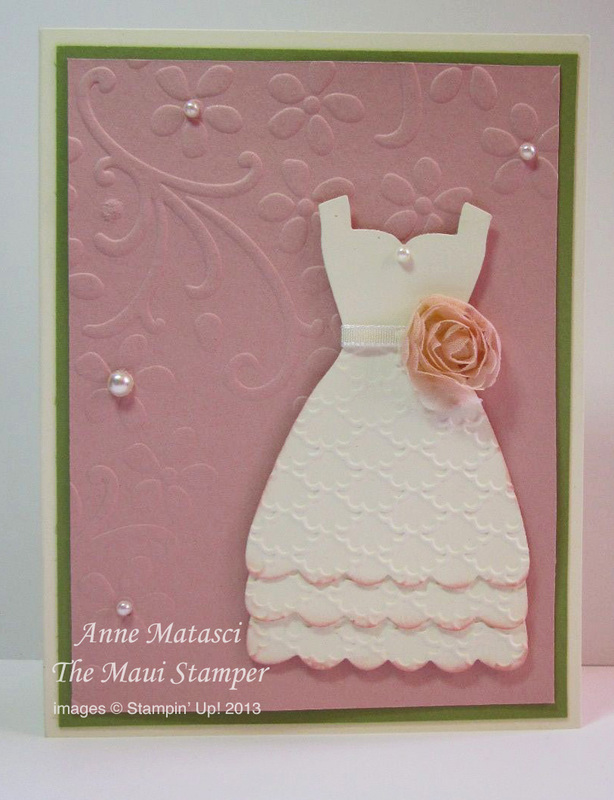 This card has a lot of texture which gives it depth and complexity even though it is a very simple layout. 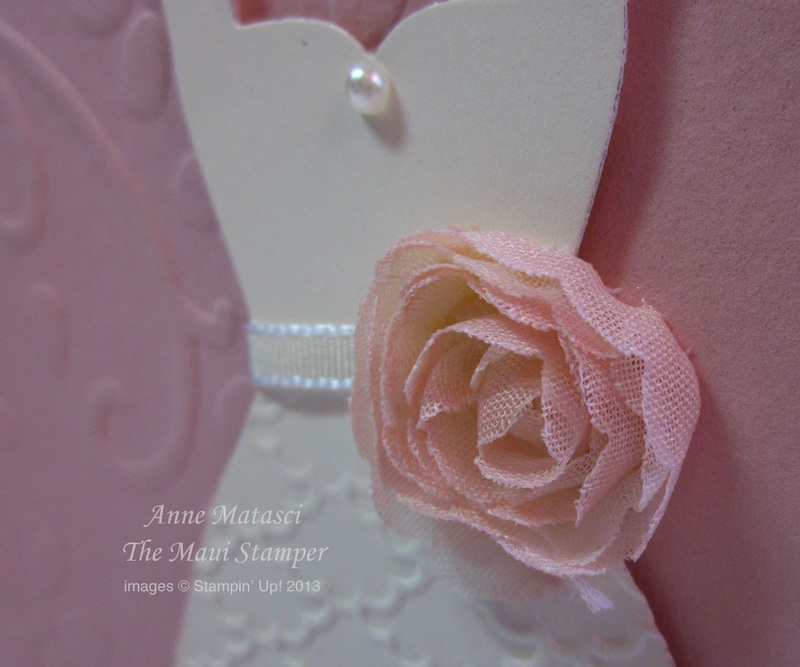 Everyone used something different to adhere that single flower – Tombo, SNAIL, Stampin’ Dimensionals, Glue dots…and each adhesive worked equally well. Are you interested in Hostess Club? 6 stampers commit to spend $25 a month for 6 months, and each person has a month as hostess – and earns the hostess benefits. I’m forming a new group – contact me if you would like more information.